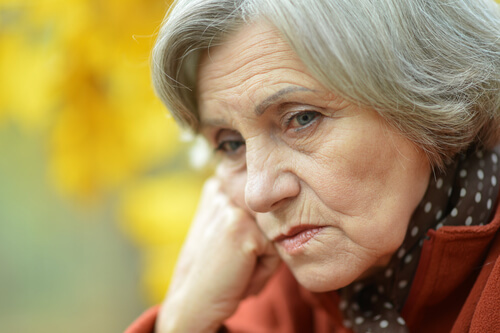 Sundown Syndrome is a common issue for some seniors living with dementia. In fact, according to Dr. Neil Lava, sundown syndrome affects one out of five people living with Alzheimer’s. And it’s also common among those without Alzheimer’s disease. Sundown Syndrome describes a dramatic change in mood that begins in the late afternoon and early evening. People with this condition tend to experience heightened agitation, frustration, confusion and anger. While it has not been scientifically proven why these behavioral issues are associated with evening, medical professionals have a couple of theories. For those living with dementia or Alzheimer’s disease, nighttime becomes a reminder of the day’s sensory stimulation.This may cause an overwhelming amount of stress for some people. Some theorize that Sundown Syndrome may be associated with hormone imbalances that occur specifically at night. While others believe this type of behavior is connected to fatigue or sight issues triggered by evening darkness. Whatever the cause of Sundown Syndrome, it’s important to recognize the signs and symptoms in order to effectively care for elderly loved ones. 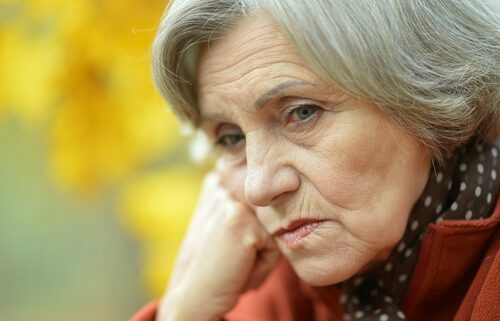 In most cases of Sundown Syndrome, the older individual living with dementia may begin to pace, hallucinate, cry, and wander around because of the impending darkness. Some people even “shadow” the caregiver by following them around the house. This may involve repetitive questioning, increased agitation, difficulty sleeping and depression. The symptoms of Sundown Syndrome, sometimes called “sundowning,” can be concerning, especially if you are not prepared. If you are caring for a parent, spouse or loved one living with dementia, you should be aware of the signs of Sundown Syndrome. Many caregivers who are unfamiliar with Sundown Syndrome find the behavioral and emotional issues alarming at first. Recognize when this becomes an issue for your loved one and learn how to help. Limit substances, foods and activities that affect sleep including caffeine and sugar. Limit exercise and naps four hours prior to bedtime. Try and make the evenings as calming and comfortable as possible. Allow your loved one to sleep wherever they feel most relaxed, and with a dim light if needed. Try not to react negatively to the behavior associated with Sundown Syndrome. Make your loved one’s home safe with locks, and remember to remove harmful objects. Get caregiving support to avoid the burnout that comes from mental and physical exhaustion. Many people caring for loved ones with Sundown Syndrome benefit from professional help. This may include getting involved in some type of area support group, or seeking out an experienced senior home care agency to provide respite care. The experienced senior caregivers at All Best Home Care are here to help you with your caregiving needs in Kentucky, Ohio and Indiana. Our caregivers know how to effectively care for those with dementia and Alzheimer’s and this includes those struggling with Sundown Syndrome. Know Someone with Sundown Syndrome? All of our senior caregivers in Louisville, Kentucky, and across the state, are licensed, bonded and insured. They are also experienced at assisting with all the activities of daily living, providing medication management, transportation to and from appointments, meal preparation, light housekeeping and much more. Whether you need caregiving help for a few hours a day or full time assistance with Alzheimer’s care, All Best Home Care is here for you. Call 502-456-CARE (2273) for more information, or send an email inquiry to: info@allbesthomecare.com.